Hugo, Nick and JP were on site today at The Corniche to see how progress was coming along. 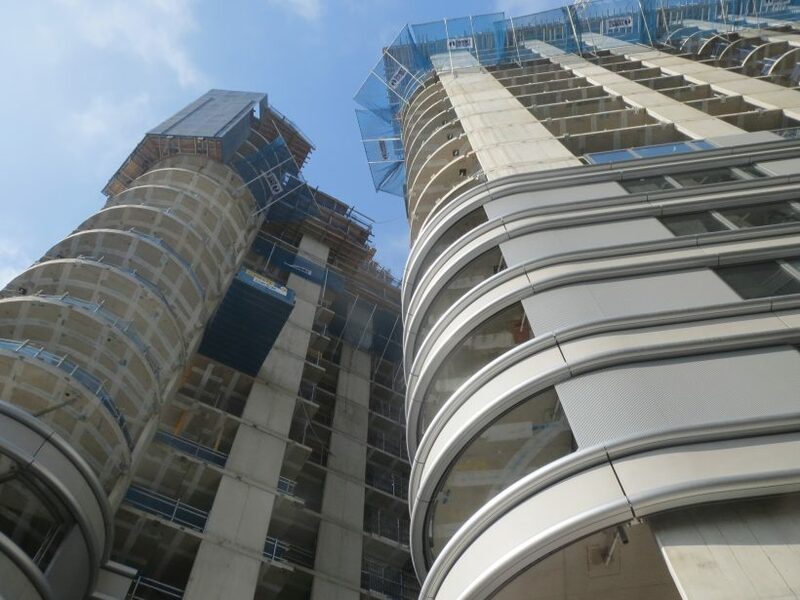 With two of the three towers nearing structural completion and the cladding going up, we are excited to see this project progressing well. To keep up to date with more DMagW activity, follow us on Twitter.